Tommy Fleetwood reflects on beginning his WGC-Dell Technologies Match Play with a victory. 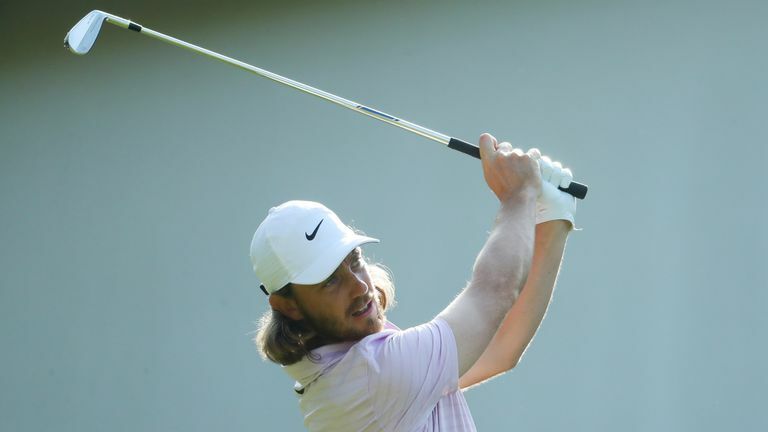 Tommy Fleetwood and Francesco Molinari made winning starts to the WGC-Dell Technologies Match Play, where a number of their Ryder Cup team-mates also impressed. The pair, who won all four of their matches together in September's Ryder Cup victory over the United States at Le Golf National, saw off Byeong Hun An and Satoshi Kodaira respectively in their opening group fixtures at Austin Country Club. Fleetwood recovered from being two holes down after six holes to beat An 3&2 in Group 11, as Molinari birdied his first two holes on his way to a 5&4 success over Kodaira in Group 7. "I've lost the first day and then won the group and I've won the first day and finished last in the group," Fleetwood told Sky Sports. "But it's great to have a good first day because once you lose you are behind the game and have to catch up." Wins for 'Moliwood' kicked off an impressive day for European golf at Austin Country Club, where the majority of Thomas Bjorn's 2018 Ryder Cup side opened with a victory. Thorbjorn Olesen saw off Webb Simpson 2&1 and Henrik Stenson defeated Phil Mickelson in a repeat of their 2016 Open tussle, while Ian Poulter avenged last year's quarter-final loss to Kevin Kisner with a 2up victory over the American. "It was a different mindset last year," Poulter told Sky Sports. "A little bit of a good news, bad news situation probably affected me and I didn't want that to carry over today. "He probably realised I wasn't going to be as easy to roll over as last year. It was a good match and pivotal to birdie the 17th and get up and down on the last." World No 2 Justin Rose - one of five players who can end the week top of the world rankings - defeated Emiliano Grillo 2&1, while last week's Valspar Champion Paul Casey opened with a 5&3 victory over Abraham Ancer. Watch the WGC-Dell Technologies Match Play throughout the week live on Sky Sports. Live coverage continues on Thursday with Featured Groups from 2.15pm.